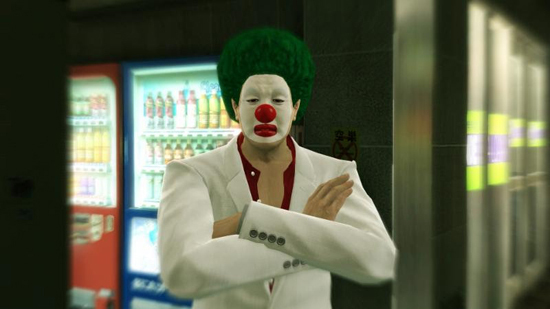 Kazuma Kiryu is already the baddest man strutting down the mean streets of Kamurocho. I mean his nickname is "The Dragon of Dojima" after all, but even he can agree that getting help isn't a sign of weakness, particularly if aid comes in the form of free Yakuza Kiwami DLC that we'll be releasing throughout this September! From useful consumable items to Goro Majima's glorious snake skin jacket outfit, these goodies can only help Kiryu remain a living legend to be reckoned with (especially in the high-octane world of competitive Pocket Circuit racing). Yakuza Kiwami will be released on PlayStation 4 physically and digitally on Aug. 29 for $29.99 (with commensurate European pricing). In addition to Yakuza 0, Yakuza Kiwami provides an excellent starting point for those who have always heard about the series but have yet to try it. It preserves the charm of old-school, PS2-era beat-em-up gameplay, but deftly combines it with a hard-boiled crime drama punctuated with the liveliness of Kamurocho - the fictional red-light district of Tokyo the game is set in - and all the distractions that a red-light district can offer.